Digital ad spending in the U.S. is expected to reach $60 billion this year. At the heart of this gigantic industry is the humble ad. While most people either ignore or block ads (or fall victim to banner blindness), few know how far the ads they see on web pages and on mobiles have travelled. The ads first start with the advertiser (or brand) and then travel through as many as 12 different platforms and intermediaries (sometimes more!) before being displayed to the user. The whole process resembles that of a production line. Click here to view the infographic as a landscape image. 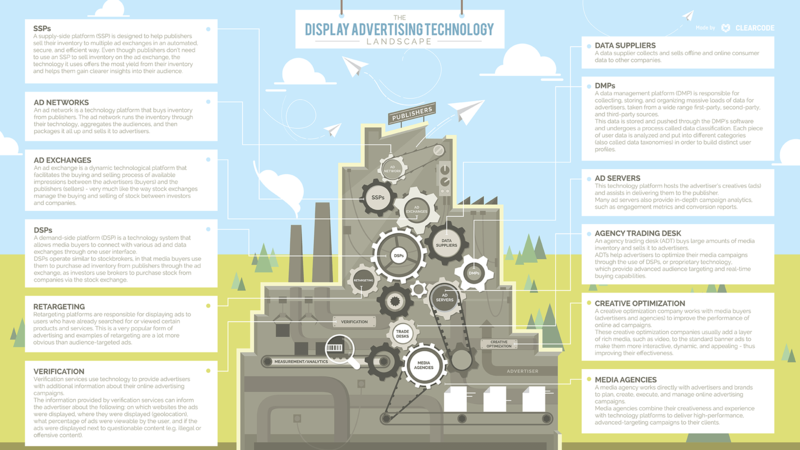 The Online Display Advertising Landscape.